Unique style indeed! 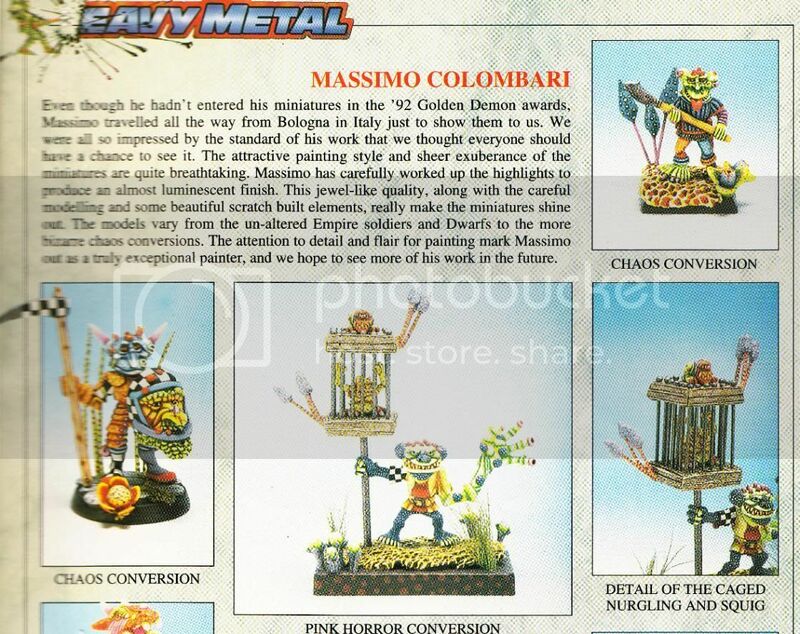 Some of the conversions are over the top IMO...but thats half the fun I guess. I adore his paint job on the Marauder champion though...and it is one of the reasons I bought that pack of figures when they appeared at the local game shop back in the day. The blue details on the nose and ears on the pink horror conversion always reminded me of those sweets you get in Licquorice Allsorts. Remember thinking these were very odd at the time but liked them a lot!